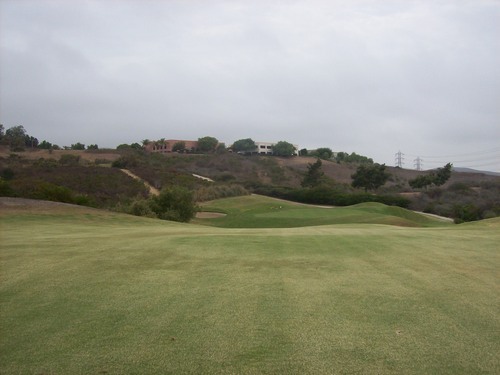 I don’t always play golf in Orange County, but when I do, I make interesting choices. I kept it close to home yesterday because I had another of my Greenskeeper.org first round “GK Cup” match outings. 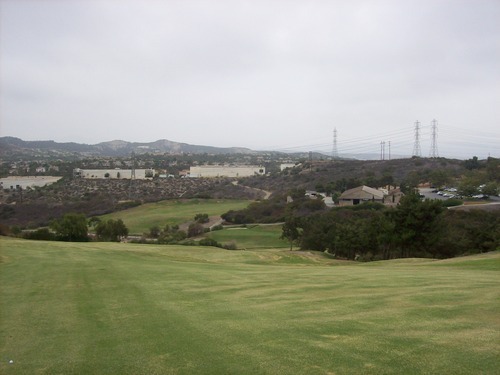 My opponents (more on that later) were members of Bella Collina Towne & Golf Club in San Clemente, so I was looking forward to playing that private course for the first time. 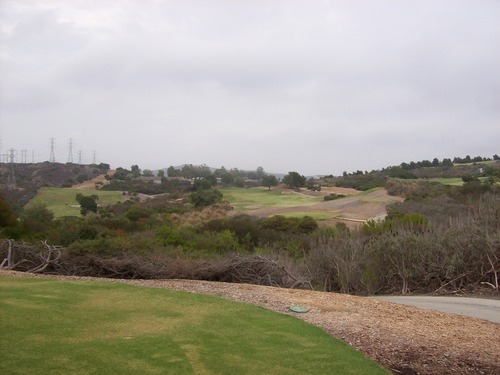 Note: This course has undergone some renovations and was shortened to a par-68. Some of the holes as described below may not be the same anymore. Someday I’ll get back there to review the “revised” layout. Don’t hold your breath. I don’t have the disdain for this course that most people do. 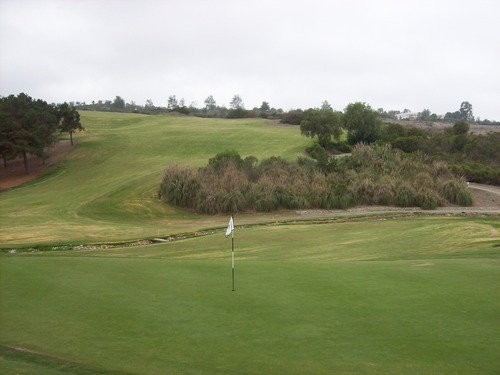 It goes in the category with River View as the two courses in Orange County that people love to hate because of funky layouts and low-end ambiance. That said, it’s one I’ll usually choose to pass over whenever I do happen to play in this county. I don’t hate it, but I don’t love it either. However, it does serve its purpose as a cheap and convenient option when most other courses around here are overcrowded and/or overpriced on weekend mornings. 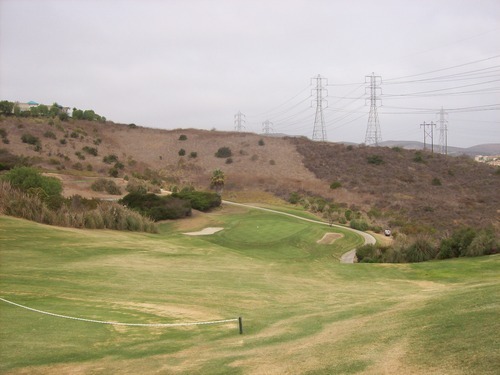 I played just the back nine at Shorecliffs, which was $24. The price included a cart and a breakfast item from the snack bar. I got a tasty breakfast sandwich, which I enjoyed after playing as I sat and watched a little bit of The Open Championship between rounds. 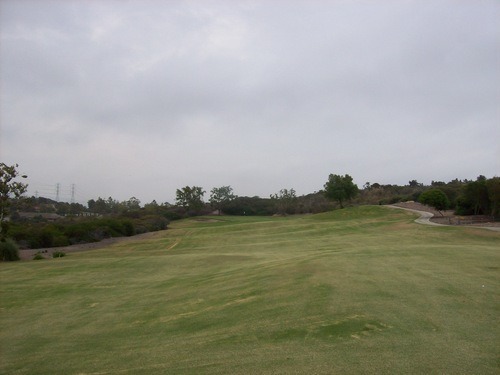 There were only a handful of people on the back nine early in the morning, so I was able to enjoy my own pace. Unlike usual, I took my time to work on different shots, play a couple different balls and put myself in a few mock match play scenarios to get as ready as I could mentally. Both nines at Shorecliffs feature a number of tight and interesting holes, several of which are bordered by OB stakes on both sides of the fairways. 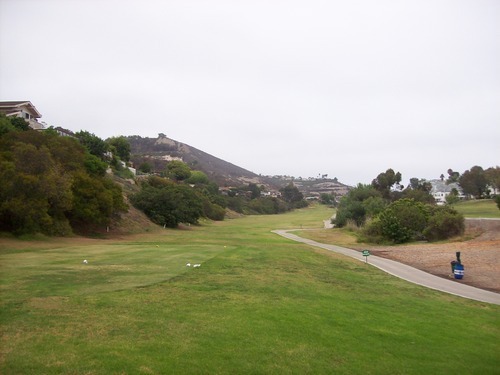 It would be considered a “target” golf course, though, so bigger hitters won’t always choose to pull the driver. In my opinion, beyond a few tight holes, this course is more benign than it looks. 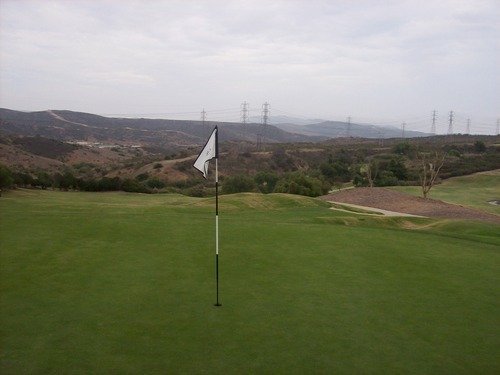 If you find the fairways, the greens are easy to get at. There’s not too much trouble around them and they don’t feature any crazy undulation. On the front nine, the hole I always remember is the par-4 5th, which features an elevated tee and a narrow fairway that bends left-to-right around a hillside. Hit it left and you are dead. Hit it right and you might get lucky and bounce off the hillside. It definitely favors a fade hitter, which is probably why I like it. A good drive can leave you with a good birdie opportunity (or eagle for long hitters who are brave enough to go for the green). Other than that hole, I probably prefer the back nine here anyway. The par-3 13th is a tough one that plays straight uphill with a very tight chute from tee to green. The downhill par-5 16th is the tightest fairway of them all. 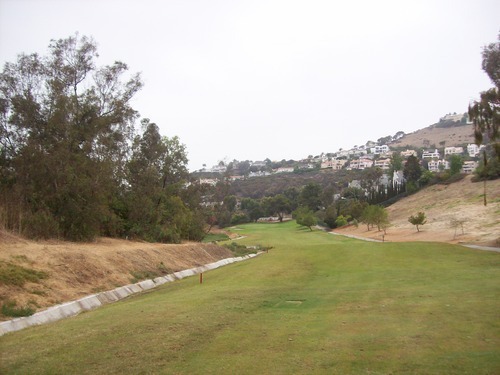 It doesn’t demand length at 450 yards from the blues, but it requires precision to keep your ball out of the drainage ditch (or hillside above it) on the left and the trees on the right. 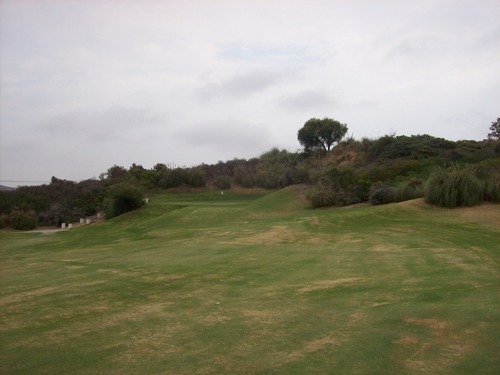 The course was in average condition compared to previous experiences at Shorecliffs. The greens were looking and rolling nice. They were definitely the highlight and weren’t quite as firm as normal because of a bit more moisture in the air yesterday morning. The tee boxes, fairways and rough were pretty patchy and inconsistent. 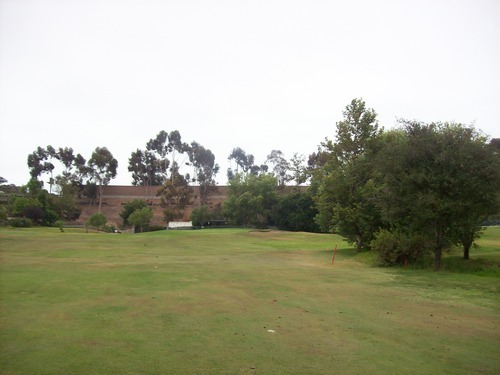 Though it didn’t look too pretty and no two lies were quite the same, things were plenty playable and I never had a “horrible” lie in any fairway. The sand traps were super damp in the morning, so I couldn’t get a great read on the sand in them. The few I hit from seemed decent enough, though. 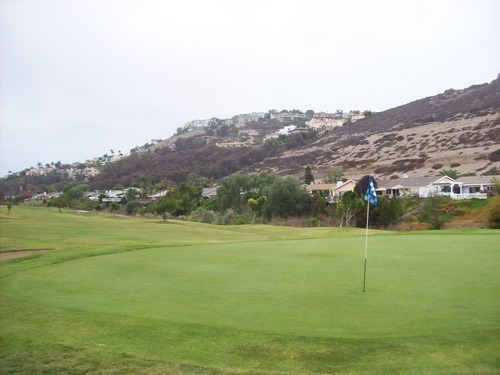 I usually end up at Shorecliffs every few years because the prices are relatively good and it’s never too hard to get a tee time there. The layout is too funky/tight for some and I know some people aren’t fond of driving through the drainage tunnels on the back nine. It wasn’t too stinky yesterday, though. 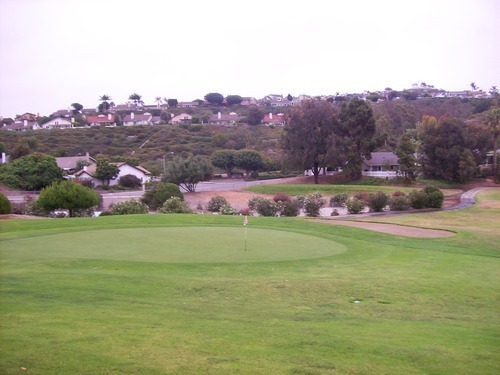 For the price, San Clemente Golf Course is a way better option, but it gets so crowded and it’s hard to get tee times as a non-resident. Talega is the other public course in town and it’s a nice layout with good conditioning, but it’s generally too overpriced for my tastes. I really didn’t know much about this place heading in. I know it used to be called Pacific Golf & Country Club. When and why they changed to Bella Collina, I’m not exactly sure. Either way, it’s still a private facility and that’s the main reason I’ve never played here before. Because we were running close to the first round deadline for our Round 1 round robin matches, our group decided to do a multiple-match foursome to handle all the remaining matches. It was confusing at times because each of us was essentially playing two different matches at once, but it all worked out in the end. It worked out especially well for me as I came out of the group the overall winner and will be moving onto the second round in the South region! We chose this course because two of the guys were members here. 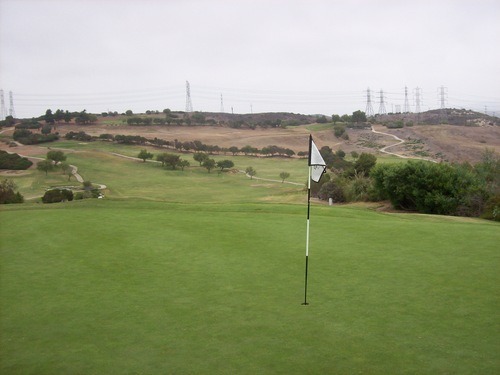 I learned the membership fees aren’t as much as you might think given the location, so if you are looking for a private course in South OC to belong to, check it out. That stuff doesn’t interest me much at this point in my life, so I won’t devote much time to it. Either way, it was a convenient opportunity for me to get to check out Bella Collina at a guest rate of $75. 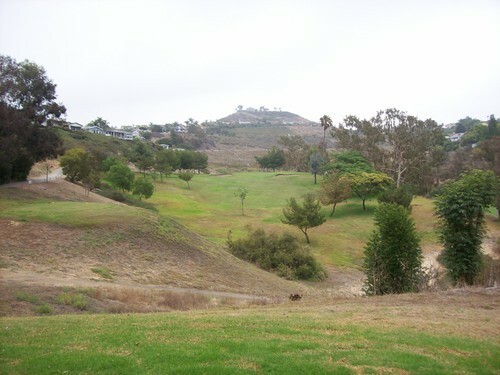 That’s not terribly cheap, but for a nice, uncrowded course with a prime tee time on Saturday morning in Orange County, it’s not bad at all. We didn’t have anyone in front of us all day and only a twosome came up on us late in the round, so we were able to enjoy a nice pace and figure out each match scenario between holes. There are three nines here: Carnoustie, Muirfield and Royal Lytham. These happen to be the names of the courses where Gary Player won his three Open Championship titles in the UK. And he is who designed what are now Bella Collina’s three nines. We played the Muirfield and Royal Lytham nines yesterday. It was very fitting and fun to tee off first on the Muirfield nine after watching the real Muirfield course on television all weekend as host to the 2013 Open Championship. It was ironic, though, that the weather was much better in Scotland yesterday than it was here in Orange County! Other than the names, the courses at Bella Collina have very little in common with their famous namesakes. 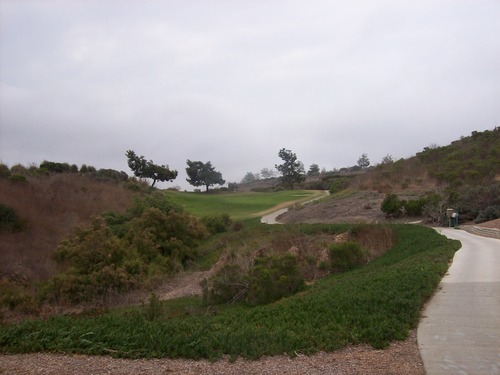 Though some links elements are incorporated here, nothing about the landscape or layouts resembles those classic links courses in Scotland and England. 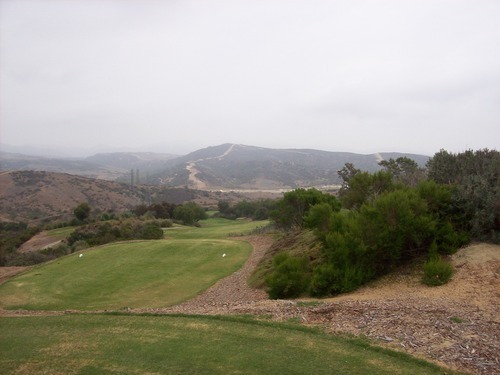 Bella Collina is very hilly and rugged with more of a canyon style design. 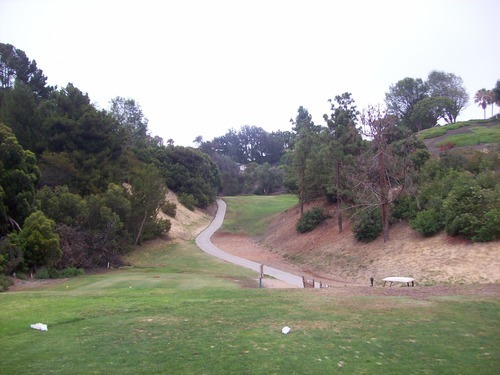 Many holes will play severely uphill or downhill, so there are very few flat lies on the entire course. I found it to be a fun layout. Course knowledge can definitely help here. 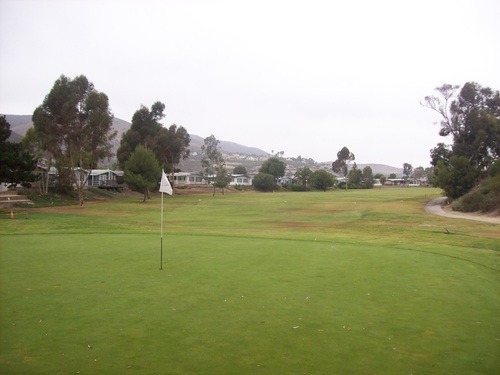 The best landing areas aren’t always clear when standing on the tee and most greens are elevated. Knowing the shapes and contours of these greens will help. 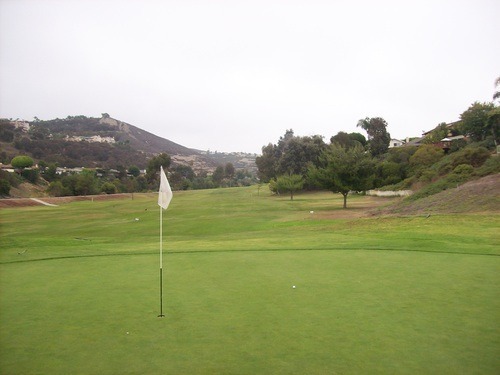 To me, managing this course as a mid-handicapper is less about knowing exactly where to hit, but knowing where you can miss and still be okay. With most of these greens, if you miss on the “wrong” side, you won’t have any chance to get up and down without a miracle shot or two. One interesting and slightly frustrating thing at Bella Collina is an odd mix of OB stakes, lateral red stakes and thick brush areas with no markings at all. My goal was to stay out of trouble, so it didn’t affect me much, but I do see why it could be frustrating to others. Some holes have white stakes part of the way up one side, red stakes during other parts and no stakes at others. It seems to lack rhyme or reason, but you don’t know until you get up there what you are dealing with. So basically, if you hit a ball into the bushes on any hole here, hit a provisional immediately and then sort it out later. Obviously, if your ball crossed in at a red-staked area, you get a lateral penalty drop. But in case it’s white-staked or non-staked, your provisional will be necessary. That’s because it’s either OB or it’s a lost ball. 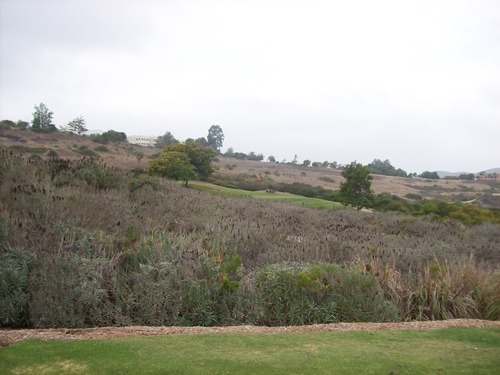 Of course, if you can find your ball in one of the non-staked areas, you still have the option to play it or take an unplayable lie drop. This issue was mostly apparent on the Muirfield nine and it’s something that you won’t encounter much on public courses. Most public courses these days will mark everything as lateral “environmental hazards” (other than maybe outer borders of course) to keep pace of play up. At a private course like Bella Collina, though, pace of play isn’t much of a concern and most people playing it are members, so they know what’s what on each hole. My only other real complaint would be how sparsely and poorly yardages are marked here. None of the sprinkler heads are marked and there’s just small red, white and blue plates in the middle of each fairway. But with all the hills and undulation, the markers are very hard to see until you are standing right on top of them. As tough as I’m making this place sound, it’s a little more forgiving than it looks. It’s actually a pretty good design by Player. It feels a little overly tricked-out at times and a lot of holes blend together with the constant ups and downs through the canyons. 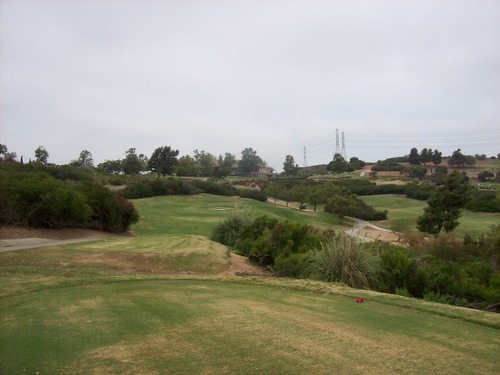 The layout is definitely challenging and it will punish you if/when you hit poor shots. But if you keep the ball in play, there are scoring opportunities here. It pays to be patient, though. Some holes you’re just happy to survive and others you can attack. 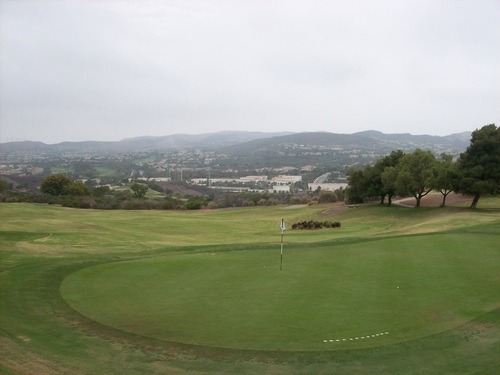 As for conditions, the greens were the highlight at Bella Collina. Man, were they nice! Perhaps it helped that I was putting great on them, but they were smooth and beautiful. I found them to be pretty quick and downhill putts are extremely scary. However, the guys told me they were running significantly slower than usual yesterday with the extra moisture in the air. They were telling me horror stories of how some downhill putts we were attempting would easily roll off the greens on “normal” days. Personally, I thought the speeds yesterday were absolutely perfect, so I might not enjoy them as much under normal circumstances—sounds more unfair than fun the way they described it. 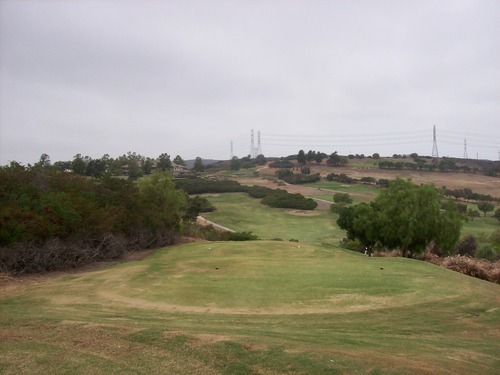 The fairways and rough weren’t that pretty looking with a mix of brown and green grasses. 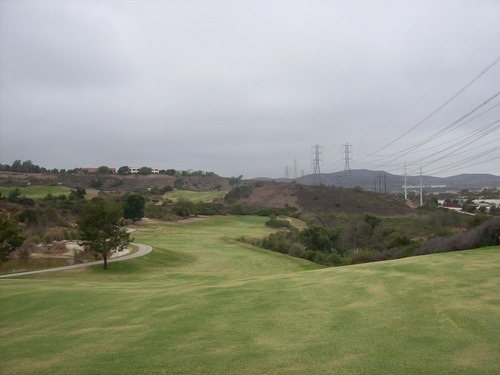 Between that, the overcast skies and all the power lines around the outer edges of the course, it won’t present that well in photos, but the lies were consistent and everything was nice for consistency and playability. 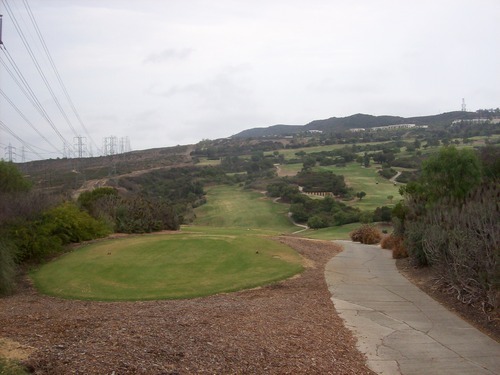 I enjoyed hitting off these fairways. The rough was deceptively tough. It was not long at all and the ball would sit up nicely, but the bermuda grass (I think) was so fluffy and soft underneath that I had a tendency to swing right under the ball and pop it up. 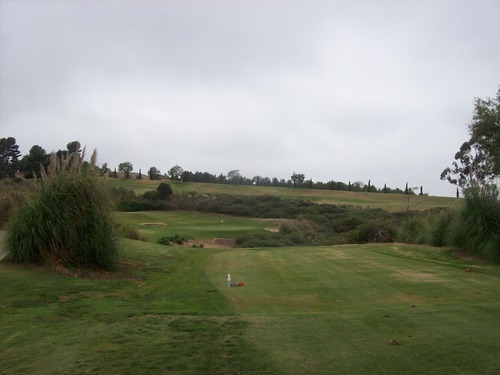 Overall, I enjoyed my experience at Bella Collina. 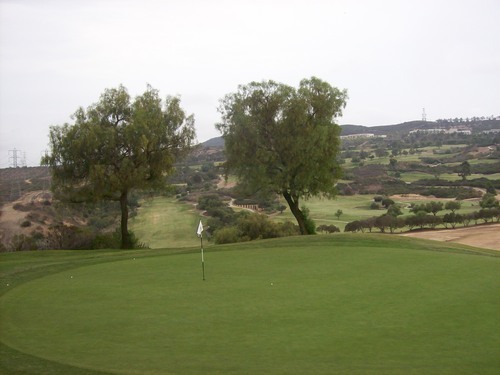 There is definitely a learning curve here with all the varying hazard areas, the tricky greens and the hilly terrain. At this point in my life, I have no desire to join a private club, so it’s not for me. However, I’m grateful for the chance to have played it and I definitely look forward to going back at least once more to play the Carnoustie nine. Though reasonable, the guest price is still more than I prefer to play for regular play.